D. R. Kerr et al. (Apple), "Hand held electronic device with multiple touch sensing devices," US20060197750A1, Sept. 7, 2006. Abstract: Hand held devices with multiple touch sensing devices are disclosed. 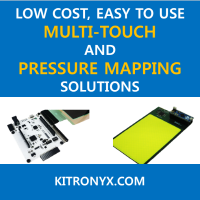 The touch sensing devices may for example be selected from touch panels, touch screens or touch sensitive housings. Exemplary Claim: A hand held electronic device, comprising: a first touch sensing device located in a first region of the hand held electronic device; and a second touch sensing device located in a second region of the hand held electronic device, the second region being at a different location than the first region of the hand held electronic device.